Thread: Magical Drop III AES ? 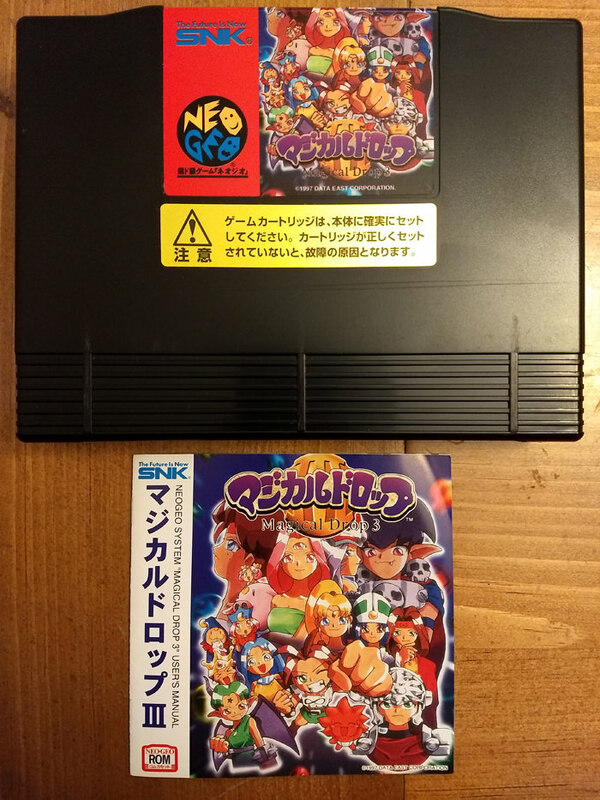 Does this seem to be a legit Magical Drop III AES cart? Looks good to me. 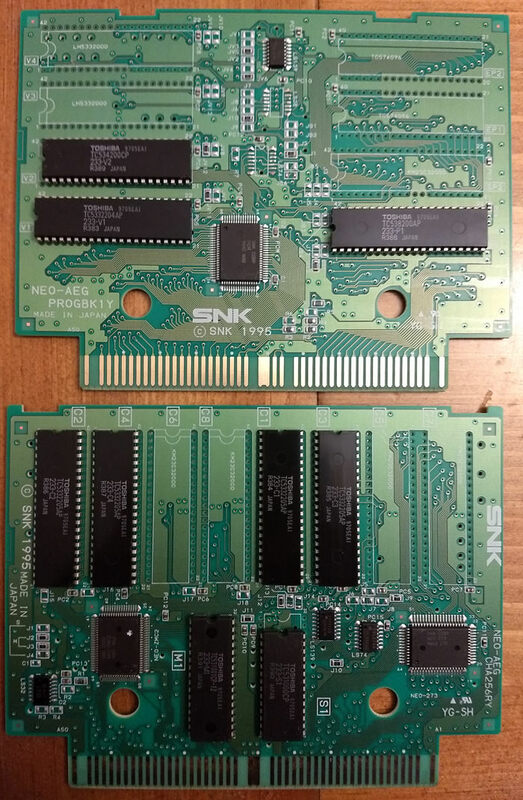 The Toshiba chips are a good sign along with the SNK printed boards. I'm no expert, but those two things on their own don't make it automatically a legit cart. Can you show the solder side? Check the solder points on the ROMs. If they're machine soldered you're probably good to go. Submit scans of the boards to the database. The MVS version has at least 2 revisions, one with Toshiba ROMs like yours and one with unbranded ROMs like the revision pictured in the link. Much thanks, everyone. The two revisions thing has been the point of confusion for me, but this makes sense. The back of the boards looks fine, so this should be good. 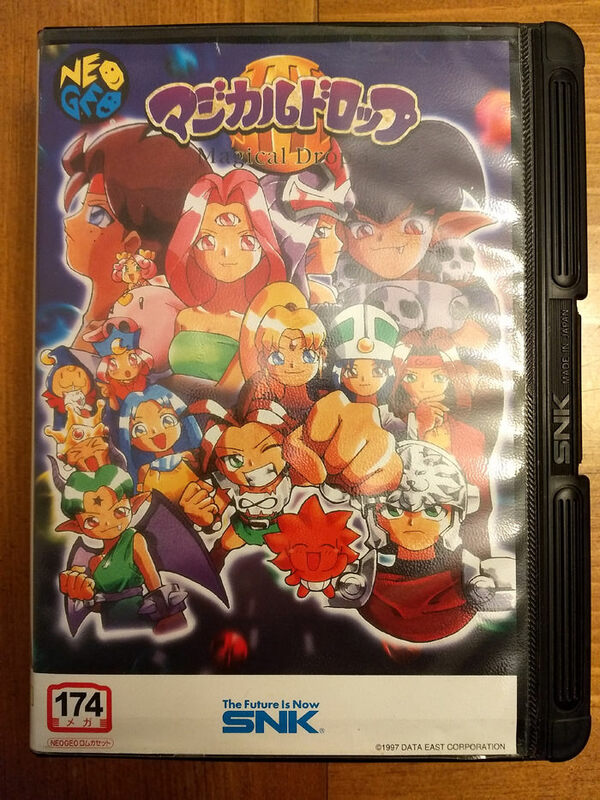 I got it many years ago from Japan. So it would hardly make sense for it to be fake, as I suspect it would barely have been a profitable scam, for a not so in demand game, at the time. But you never know.